Wash strawberries. Then chop the strawberries and bananas into thick chunks. 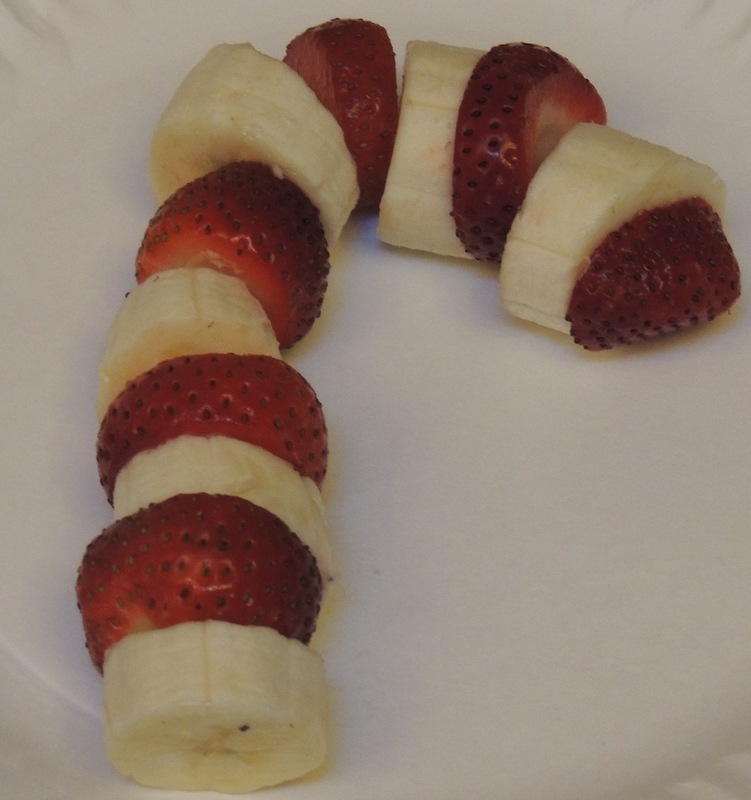 On a plate place the strawberries and banana alternating between the two into the shape of a candy cane.